Oscar Wilde noted that ‘life imitates art far more than art imitates life’ – and as dubious as this might sound, perhaps there’s something to it. 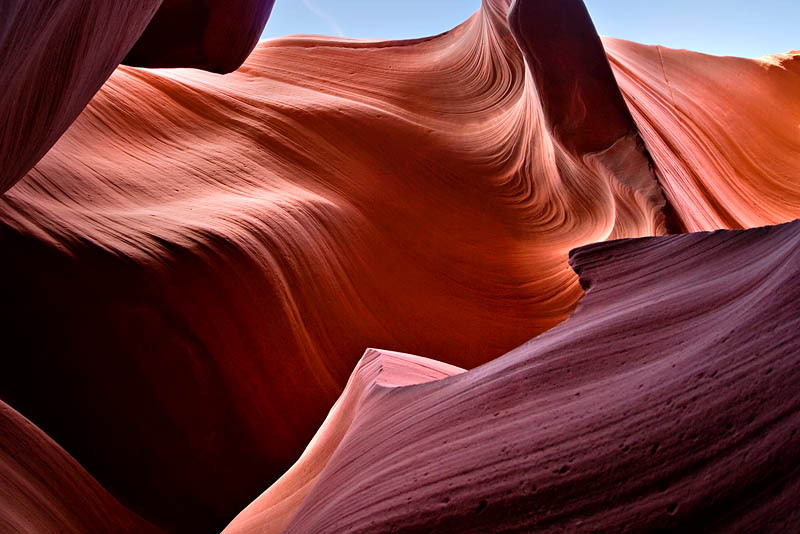 How often do we hear someone, gazing across rolling countryside, exclaim: ‘It looks just like a painting!’ Quaint pastoral landscapes aside, there are certain natural scenes that put us more in mind of abstract masterpieces than nature’s rough-edged panoramas: foremost among them, the lyrical swirls of canyon striations. Striations are grooves or furrows scratched into natural surfaces by vast geological movements. They are formed over thousands of years as great tracts of glacial matter shift across the landscape, dragging coarse gravel and other sediment with them. As the rock surface is scraped by debris, it is scoured and polished, as well as scored with deep grooves – grooves that mark the progress of some of nature’s most macroscopic and sedentary processes. 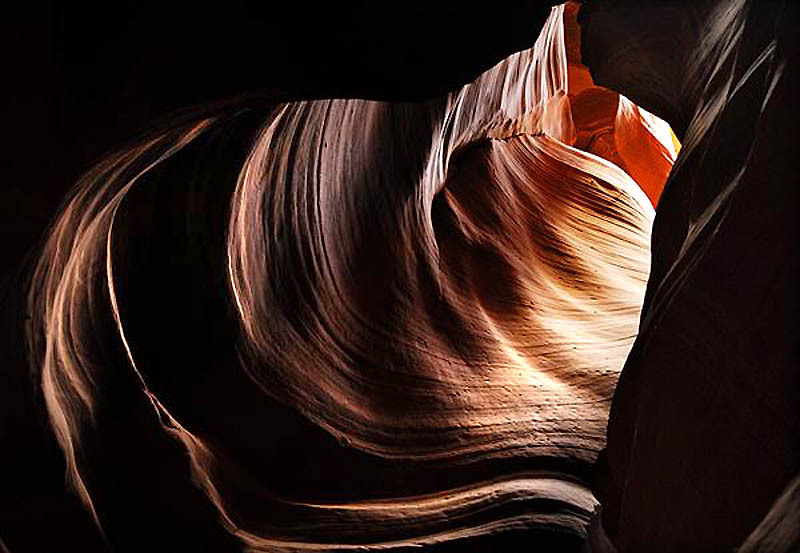 Smooth bedrock is fashioned by glacier, wind or wave power, and intricate patterns of compact swirls are left behind. The resultant landscapes are almost lunar in their pure, empty brilliance. 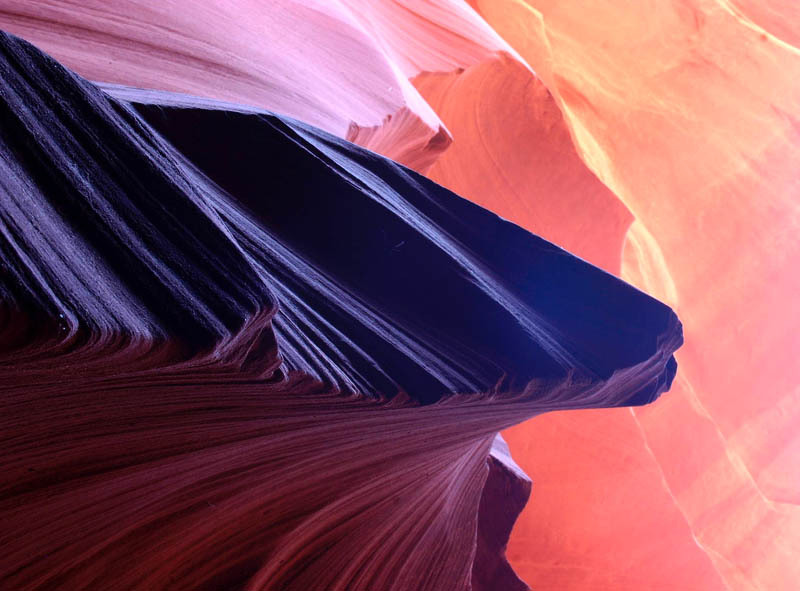 They say Mother Nature is the greatest artist of them all – and the dazzling twirls she carves across the blank canvas of earth’s canyons and bedrock platforms certainly seem to rival some of art’s greatest masterpieces. Think the lyrical swirls of abstract expressionism – in particular of a Jackson Pollock, or even a Kandinsky – recast in earthy tones of sienna and burnt umber. These images could easily find a place on your wall. Indeed, there’s a certain irony to be found in Pollock’s famous ‘action painting’ technique (spontaneously dripping, splashing or smearing) which strove for more immediate and natural expression; it seems that whereas art often endeavors to go ‘back to nature’, nature itself is busy imitating art. 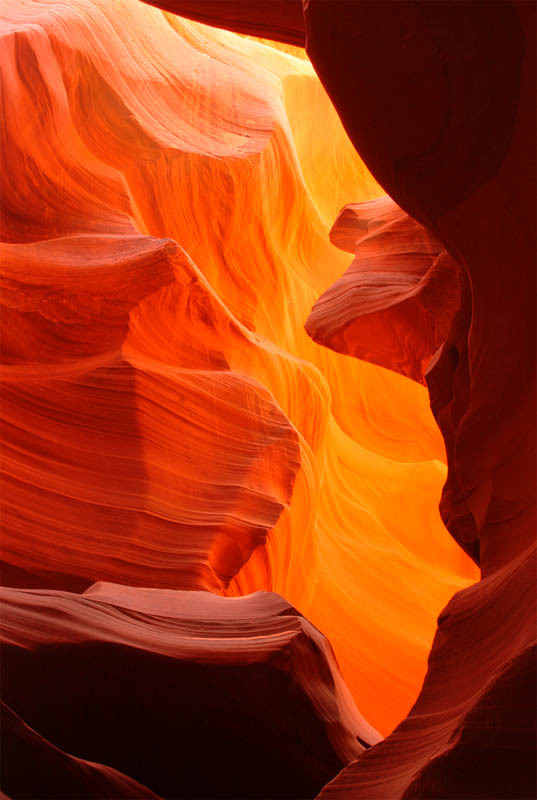 The play of light and water often serves to further intone the singing curves of age-old striations – making their grooves appear to echo down dimly lit caverns, or reflecting them back upon themselves to form a crazy confusion of tangled lines and folds. Already dramatic formations are thus given fresh tone on a daily basis by rain, wind, light and cloud cover, and herein lies another reason for their intriguing appeal: no two pictures of the same striated surface are the same. Nature sees to that; her canvas never finished, a perpetual work in progress. 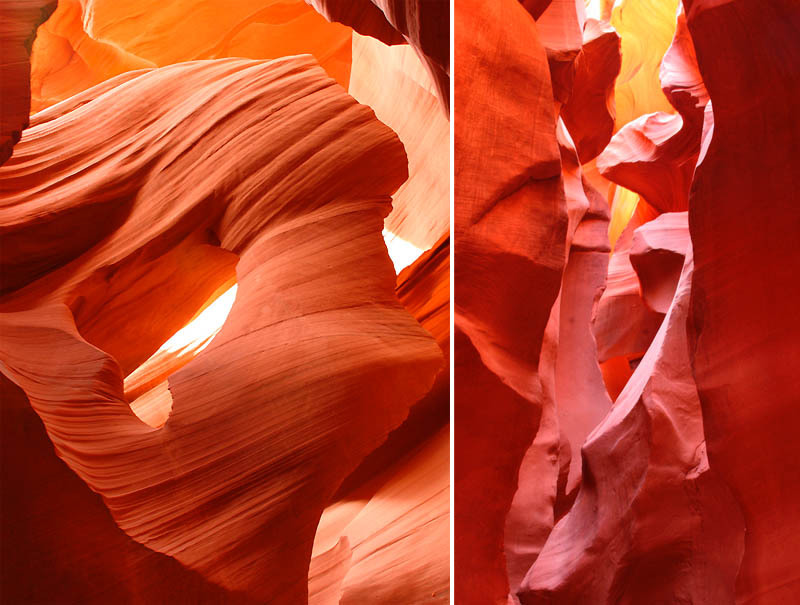 Many of these images were taken at well known canyons in the US: Antelope Canyon near Page, Arizona, or the Paria Canyon set within the breathtaking Vermillion Cliffs and fed by the Colorado River. We’d do well to remember the entire surface of the earth is in a constant state of flux, shifting and reshaping itself on a macro-scale beyond human comprehension. 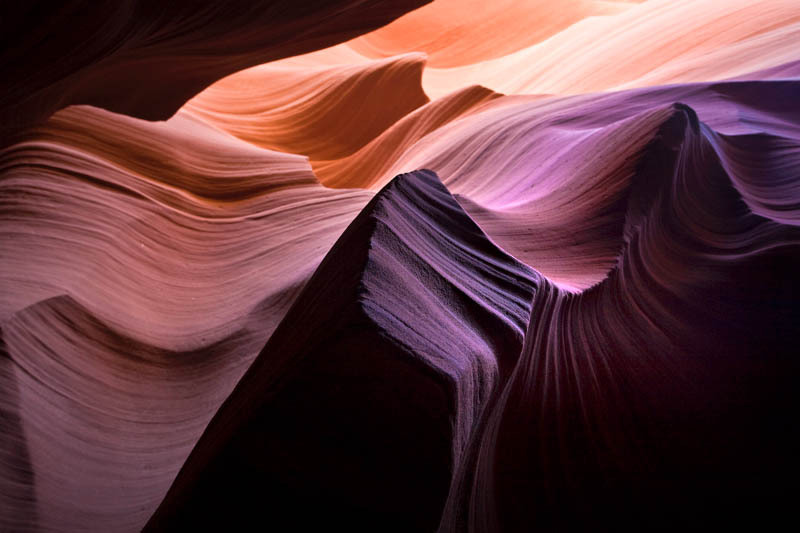 Striations can, therefore, be observed all over the globe, wherever sheer rock faces or other natural surfaces have been subject to the ravages of time; and they serve as a potent reminder of universal scale. As so often, when we examine nature close-up, its resonance seems to widen. We are humbled by the irreconcilability of scale we encounter: something so vast and timeless, viewed under the microscope, as it were, for a split second. The history and future of the earth seem to stretch ahead and behind us – along these great tracks carved into the earth – ultimately receding into the distance and beyond the vanishing point of a single human life. Our natural instinct is to re-focus and relate it to something we know, something measurable and self-contained, something that dangles the promise of full and total comprehension before us. Enter art. This is a guest post Tom Davie from Environmental Graffiti. Thanks to Sasha and Evan at MyDiaryProject for their inspirational quotes and help with the article! 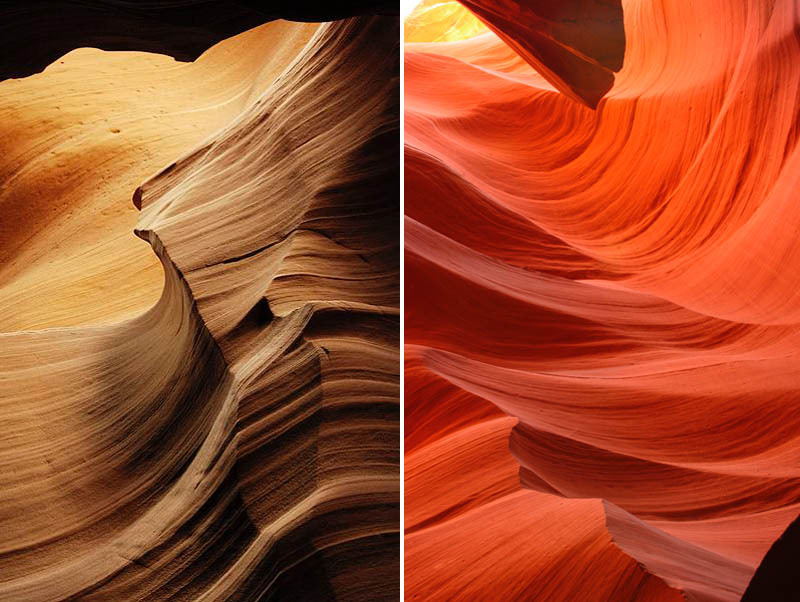 These photos, which show the Red Rock Deserts of the American Southwest (Arizona and New Mexico, north to Utah), show the effects of wind-driven sand, not glacial erosion. This is a type of sandstone that is very fragile, and easily eroded. These are beyond beautiful, whatever they are. This is actually Antelope Canyon near Page in Arizona (http://en.wikipedia.org/wiki/Antelope_Canyon) These canyons where formed by flash floods and not wind erosion. 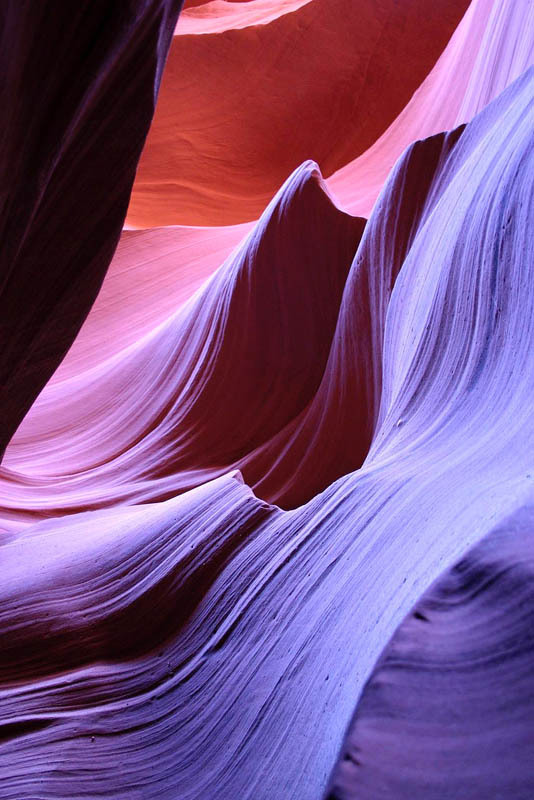 The images are taken from all different kinds of striated canyons - yes some are formed by sand and wind, but the object was not to analyse a particular location but the effect more generally. Thanks. These images are beautiful. They really are like natural works of art.